Storey Publishing, LLC, 9781612120850, 296pp. Spike Carlsen built a tree house at the age of 8 and has been swinging a hammer ever since. He worked as a carpenter and contractor for 15 years, then as an editor with The Family Handyman — the world’s leading DIY magazine — for another 15. 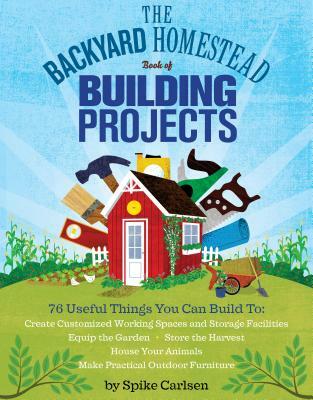 He’s the author of the award-winning A Splintered History of Wood, Woodworking FAQ, and The Backyard Homestead of Building Projects. He’s written for Men’s Health, the Minneapolis Star Tribune, American Woodworker, and other publications and has appeared on HGTV, Modern Marvels, and CBS’s The Early Show. He and his wife, Kat, divide their time between their home in Stillwater, Minnesota, and their cabin on Lake Superior.